In Australia UM picked up the entire Lion portfolio, which includes Tooheys, James Squire and XXXX Gold, in 2016, following a competitive pitch from Bohemia. 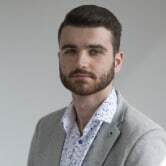 "Heineken have had a strong relationship with Zenith for many years and we thank the team of their support and dedication to the Heineken brand," Heineken country manager Damian Babkowski told AdNews. Zenith general manager Sydney Jonny Cordony says Zenith has enjoyed a positive working relationship with Heineken over the last 10 years. "We are proud to have delivered effective and innovative work that was recognised globally within the Heineken business and we wish the brand all the success into the future," Cordony says. Heineken's most senior marketer, Sydney-based Nada Steel, departed the business in June this year after more than 10 years with the company. Her departure follows a wider shake-up within the Heineken marketing team, which saw several of its marketing execs exit. Earlier this year it was reported the international beer brand was conducting a global review but would be appointing individual agencies in each of its key markets. Since then, the business has appointed Dentsu Aegis Network in the UK, ending Publicis Media agency Starcom's relationship with the brand. Over the past 12 months in Australia, Heineken has been focusing its marketing and advertising efforts on its Heineken 3 brand, a mid-strength offering targeting the growing number of 'health conscious' alcohol consumers. UM continues to build upon its performance in 2018, with Heineken joining new business won both locally and globally, including a chunk of the $150m Federal Government master media account, the $50m Nestlé account, AGL Energy (worth $23m) and Amex, which was won globally last week. These recent wins all follow the appointment of the agency's new CEO Fiona Johnston, who joined the business in October last year. UM has been approached for comment. Heineken has appointed IPG Mediabrands agency UM as its agency of record in Australia without a pitch, AdNews can reveal. The brand, which has its marketing and distribution managed by Lion locally, confirmed the appointment to AdNews. The business had sat with Zenith for a decade, but now moves to UM as of next month as part of a global alignment. The account is worth $3.5 million, according to figures provided by Nielsen. In a statement from Lion Beer Australia, the company told AdNews it had consolidated its roster to drive "greater efficiency and effectiveness", following a review of its media agency arrangements. 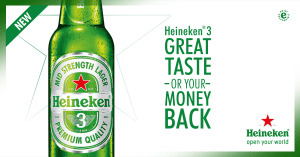 The news comes as Heineken continues its market-by-market global review.